Posted on October 9, 2011 at 9:06 pm. 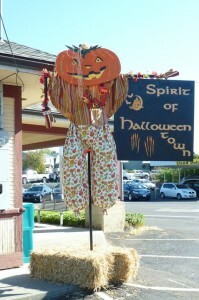 Ushered in by the lighting of the Great Pumpkin on October 1st, the Spirit of Halloweentown is upon us in Saint Helens. Visit Olde Towne for a month-long celebration of the season and see the giant scarecrows, fall colors and merchants turned to immortal forms as fairies, witches, ghosts and ghouls from Friday afternoon until Sunday at 3pm. Wear your costume and take advantage of special offers at local businesses, or browse boutiques and thrift stores to find the perfect costume. 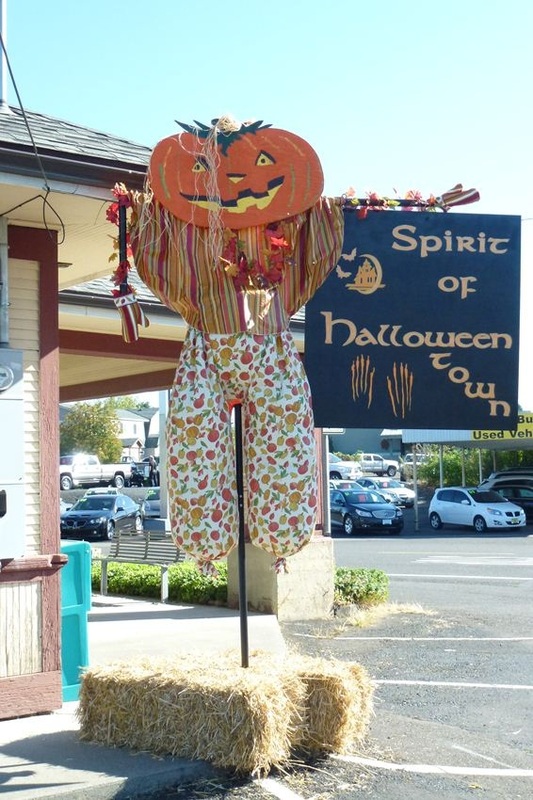 This year, activities include an I-Spy Adventure and Coloring Contest, The Chronicle’s Little Spooks Parade, Kids Carnival put on by Kiwanis, and the most anticipated activity in the Spirit of Halloweentown: the Scarecrow Contest. Scarecrows line the streets of the Houlton and Riverfront Districts of Olde Towne as local shops and eateries try to outdo one another to create the most creative and clever scarecrow. Vote for your favorites with raffle tickets to benefit the Columbia County Food Bank. 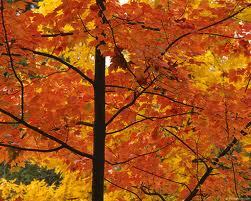 Rake the Town – Helping seniors one leaf at a time! Posted on October 7, 2011 at 5:11 pm. Do you know of a senior who needs help raking their yard this fall? Well, Rake the Town may come to their rescue! This group of volunteers will set out on November 19th at 11:00 am to rake up the fallen leaves at various seniors’ homes in St. Helens and Scappoose who are in need of assistance. If you know of someone who may need their help, you can contact David Greenleaf at 503-543-0909 or email him at david@greenleaftreerelief.com. And on the other side of the event is finding volunteers who want to help with the raking. It is a BYOR (bring your own rake) event, so let David know you would like to help and he’ll get everyone coordinated. What a great way to spend some time with your friends and do your good deed for the community! This event is sponsored by Ace Hardware, Beaver Bark, Greenleaf Tree Relief, Hudson Garbage, Paulson Printing and Ticor Title. Ready for Some Sauerkraut Ice Cream? Posted on September 12, 2011 at 3:00 pm. 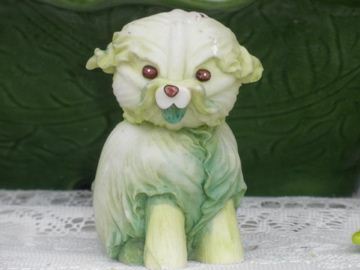 It's amazing what you can do with cabbage! Once again, it’s time for the Sauerkraut Festival in Scappoose! This long-time tradition has become an annual event for our area for 22 years. Scappoose, once home to Steinfield’s pickle and sauerkraut factory, still brings in nearly 10,000 visitors to participate in activities such as cabbage bowling, sauerkraut eating contests, children’s cabbage patch and such treats as a chocolate sauerkraut cupcake, sauerkraut ice cream and the very delicious Sauerkraut Sandwich. This free festival is organized by the Scappoose Community Club and sponsored by the City of Scappoose. Popular local vendors will be set up around the park offering food, activities and crafts for the kids. Rain or shine, Scappoose’s Sauerkraut Festival will be held this Saturday, the 17th, from 10am to 6pm at Heritage Park. Time for the Amani Center Luau and Auction Fundraiser! Posted on September 7, 2011 at 5:16 pm. 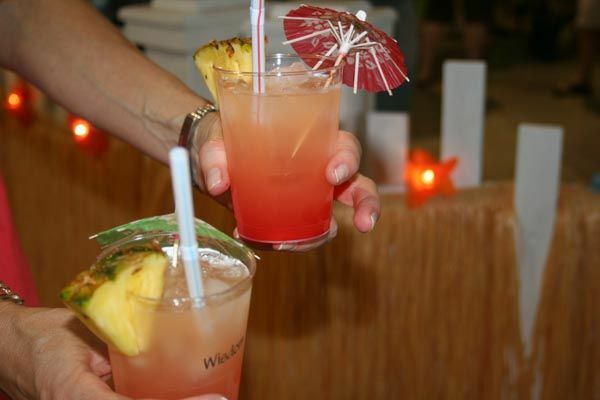 Amani Center : Columbia County’s, non-profit, Child Abuse Assessment and Treatment Program, will be hosting their 9th Annual Luau and Auction this Saturday, September 10th at the Columbia County Fairground Event Complex beginning at 4:30pm. This year, selected donors will be invited to a VIP pre-event reception from 3:30-4:30 p.m. Attendees will enjoy light fare and specialty drinks while having the opportunity to meet special guests like state Sen. Betsy Johnson and 105.1 radio personality Sheryl Stewart, along with other prominent community members and business leaders. Tickets for this annual fundraiser may be purchased in advance ($40/seat) www.amanicenter.org and include a seated dinner catered by Hawaiian Island Café & Catering. Throughout the evening guests will enjoy live Hawaiian music and performances by Polynesian & fire dancers. The evening will conclude with a silent and oral auction as well as a delicious dessert auction! The Amani Center was established in 2000, here in St. Helens, as a community-based center to come alongside alleged child victims of abuse and neglect, offering access to evaluation, counseling and support services in a child-friendly setting. While this event raises money for the children of our community, guests must be 21 and over in order to attend this fundraiser. 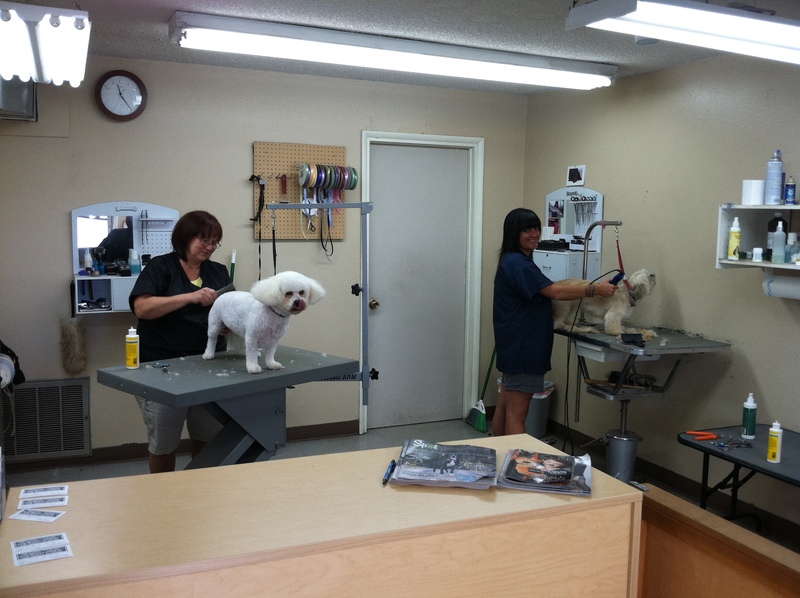 Pamper your dog at Vonnie’s Dog House in St. Helens! Posted on September 5, 2011 at 5:37 pm. Vonnie and KK make dogs beautiful! If you’re looking for a great place to have your dog groomed, check out Vonnie’s Dog House in St. Helens. With over 25 years experience, Vonnie and KK surely know how to make your little (or big) buddy look beautiful! I have a sweet labradoodle, and I know that not everyone knows how to make these often shaggy dogs shine, but KK certainly does! They’re busy gals, so call today for an appointment! Check out Vonnie’s at 244 N. Columbia River Hwy, St. Helens, OR 97051 or call 503-397-6684! Such a beautiful girl with her new hairdo! Portland Pirate Festival comes to St. Helens Labor Day weekend! Posted on August 31, 2011 at 1:15 pm. The Portland Pirate Festival comes to St. Helens! Anchoring in St. Helens for the first time, the 6th Annual Portland Pirate Festival is a two-day, family oriented event with historical reenactments, live music, cannon shows, games for the kids, hundreds of pirates roaming about, and many booths and displays. Pipe Band; the comedy of Cap’n Chris the Hypnotist; Curtis Carlyle Seriously Funny Juggling, and the whip cracking Lefty Caress. For the kids, this year’s lineup includes a host of family friendly entertainment, including the giant strolling puppets, interactive high energy children’s theater, puppet Shows, hands-on swordplay with Academia Duellatoria, scavenger hunts and interactive games with The Pirates of Puget Sound; cannon shows on Thunder Ridge; giant inflatable rides such as The Kraken and free balloons and face painting by beautiful mermaids! The festival will take place downtown on the waterfront in Olde Towne St. Helens, to include Strand Street and the Courthouse Plaza. Visitors can park in the public parking lot in Olde Towne or there will be ample parking in various business and hotels between St. Helens and Scappoose and a private shuttle will come by, for a small fee, to bring you downtown to the festivities. Pure Serenity Massage in St. Helens….aaaaaaahhhhh! Posted on July 31, 2011 at 7:04 am. Pure Serenity Massage, located on Columbia Blvd in St. Helens, is a peaceful and pleasant place to visit. Kayla Mixer, the owner and LMT, has created a beautiful salon with a variety of services that are very unique to our area. Besides a relaxing massage, you can also find gentle yoga classes here, enjoy a Reiki or Bowenwork session, have a facial or acupuncture. The list is long and the atmosphere is delightful. And coming very soon, Pure Serenity will be opening a second location in Scappoose. If you get a chance, drop by and feel the peacefulness of Pure Serenity. Backstage Pass performs tonight at 13 Nights on the River! Posted on June 30, 2011 at 9:47 am. Tonight one of our local bands Backstage Pass will be performing at 13 Nights on the River in St. Helens at Columbia View Park. This is a great venue for concerts, especially on a nice evening. The bands use the gazebo as their stage and the gorgeous Columbia River and Cascade Mountains are the backdrop. Come on out, bring the whole family, and enjoy a FREE concert by the river! 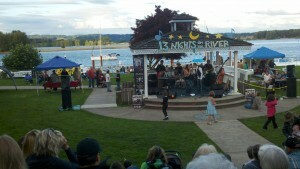 13 Nights on the River is a weekly concert series that runs throughout the summer on Thursday nights starting at 6:00. Posted on March 17, 2011 at 12:45 pm. Today I went to see a local chiropractor, Dr. Gary Domby, in Scappoose. I’ve seen him for years and I never leave there without a feeling of being truly amazed. I went in today to discuss my troubled knee, and quickly the focus went from my knee to my hip to my shoulder. He told me the body is a matrix and he has to work it as a system to make it function properly. 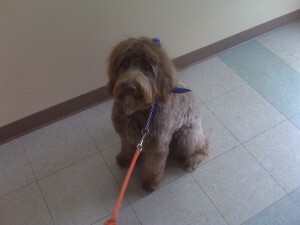 He uses applied kinesiology in his practice, which is quite different than other practitioners I’ve gone to. I so appreciate an alternative approach to healing, and Dr. Domby is always tops on my list. Not only did we discuss body mechanics, but we also talked about the virtues of yoga, which he has been teaching for over 20 years. I’m quite a novice but thoroughly enjoy my yoga practice. He ended our session with showing me the proper techniques for various poses and how they can help my muscles properly support my joints. He also offered to give my husband and me a private yoga lesson to assist us in our practice. He goes so far above and beyond his role of a chiropractor…oh, how I would love to spend an entire day there, just being a student of his teaching. If you are in need of wonderful chiropractor who will truly amaze you, check out Dr. Domby at 503-543-3195. Surprise snow hits Columbia City in March! Posted on March 13, 2011 at 3:06 pm. Many of us from the Columbia County area get very excited over the threat of snow. 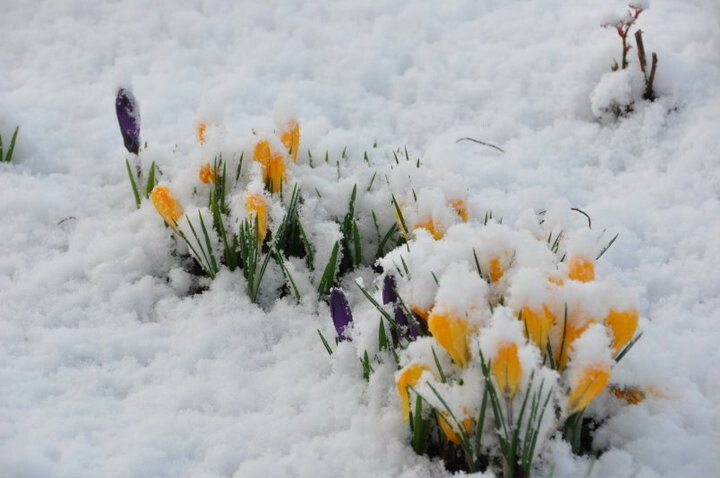 The weather forecasters often alert us days in advance, only to find that it is a nonevent and we are merely left with rain or maybe a slight dusting of snow. This past week, we were all watching in anticipation of a big storm that really didn’t appear. Then when we were ready to put that cold weather behind us and move towards spring, we were greatly surprised when we had a snowy couple of days starting on March 1st. The interesting part was that Scappoose barely saw more than a few flakes, yet further north in Columbia City we had 2-3 inches. That may not seem like much to those in snowier climates, but to us, it was fun! Schools were cancelled and the kids got a day to play. As fun as it was for those brief few days, I think we’re all ready to move forward and be blessed with a little sunny, warmer weather and bright flowers in our gardens. 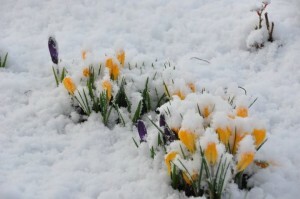 Unfortunately, we have just a few more days of rain ahead in order to make those flowers grow! That’s what makes this wonderful area so beautiful!